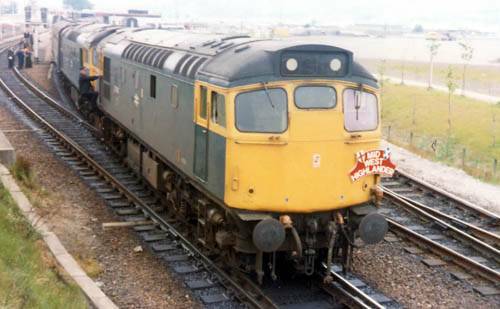 Class 40: Carlisle - Wolverhampton. 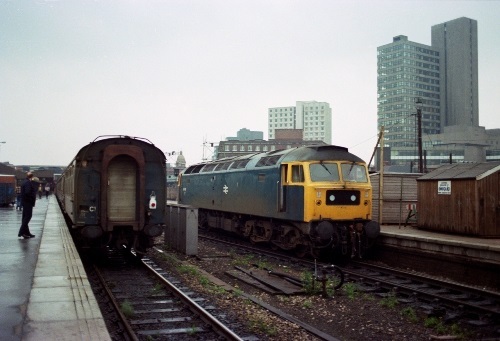 Craig Simmons has added the following comments about the rostered locomotives : 40115 was diagrammed for the Wolves-York leg, but got dragged off Bescot to replace some failure or other, hence 47105. 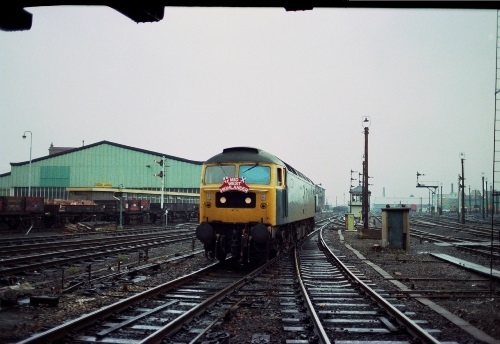 A Deltic was promised by York control after the rather aggressive response the tours participants gave 47419 at 3am from the end of York platform! (particularly bearing in mind, no less than 3 Deltics were on York shed) Newcastle should have provided it, and indeed Crepello was waiting light as we came in, but it didn't latch on (so sure were most of the tour contingent of a loco change, that several were left behind as they dashed over the bridge to check out the 03's!!). (2) Craig Simmons comments: There should have been a shed visit at Ayr but it wasn’t authorised and we were all told that under no circumstances were we allowed in during the protracted break at Ayr station. But this was the 80’s, and there were hundreds of us right? So the entire contingent went to the shed regardless and there was absolutely nobody around to stop us even if they’d wanted to! 25001 was on; only time I saw it.